I've always heard about this shop and finally had the opportunity to pay a visit. 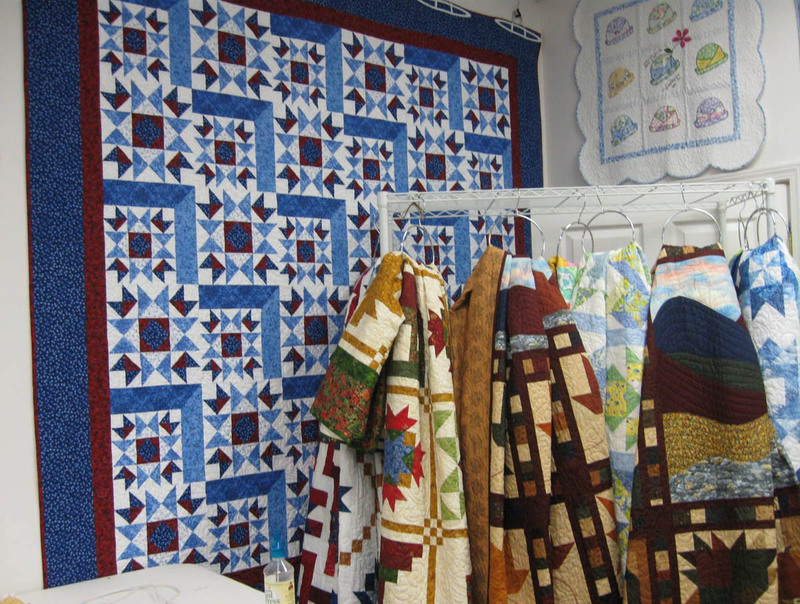 Little Blessings Quilt Shop is located in the middle Tennessee town of Crossville. It's so close to the exit ramp (#317 on I-40), that you can see the sign from the interstate. Little Blessings sign (left) is close to the street. 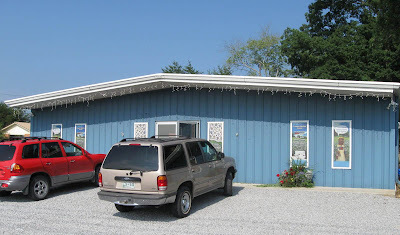 Scrappy (right) stands at the store's front to meet customers. 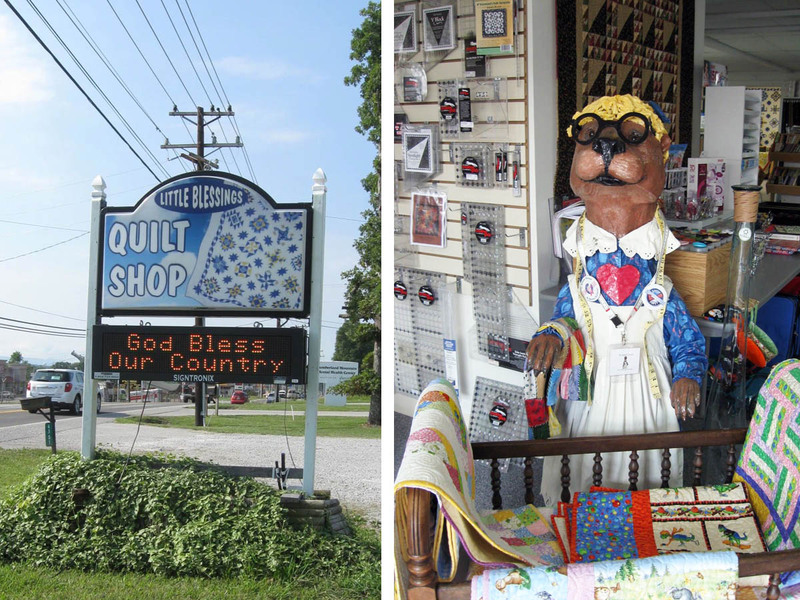 The Little Blessings' mascot, Scrappy, is a 3-dimensional otter that was part of a Crossville celebration several years ago. You'll meet Scrappy, the official shop greeter who stands about 4-foot tall, as you enter the store. Little Blessings Quilt Shop, Crossville, TN. 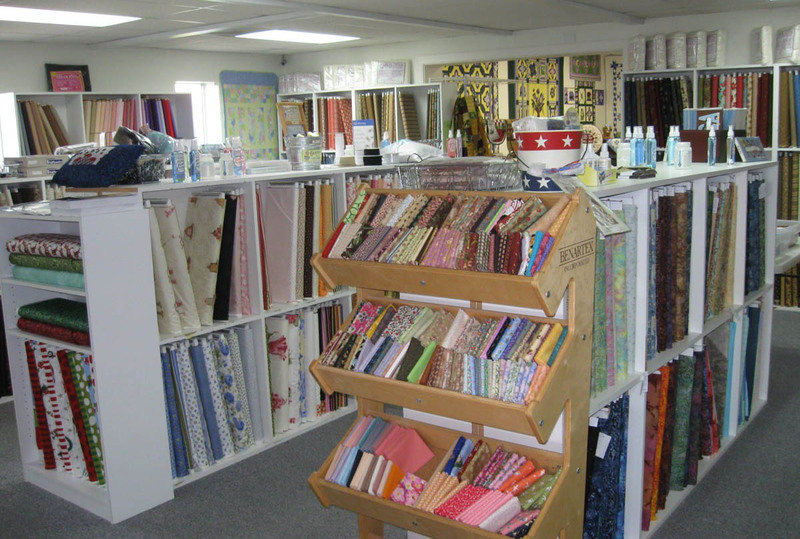 The main fabric room is quite large and well lit. Julia and her husband, who were long-time farmers and did everything together, bought the shop from the previous owner about 8 years ago. 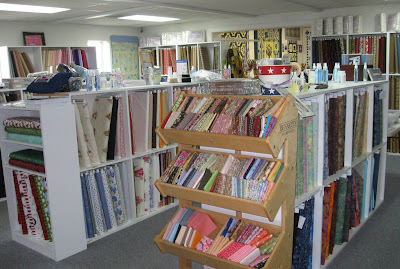 The central fabric room at Little Blessings. 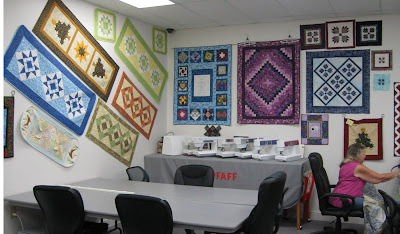 Julia and I met in the classroom, which has several long tables, chairs and workstations for students for the shop's classes and sit-and-sew sessions. Quilts, wall hangings, table runners, toppers—projects big and small—adorn the walls and provide inspiration for new and seasoned quilters alike. 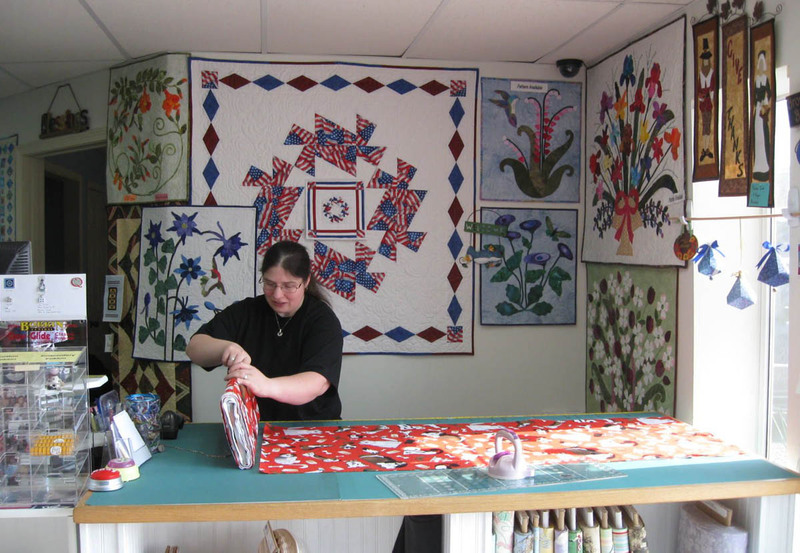 Julia, a very experienced quilter, has designed many quilts for classes, BOM (Block of the Month) programs and for a shop hop in which the store participates. 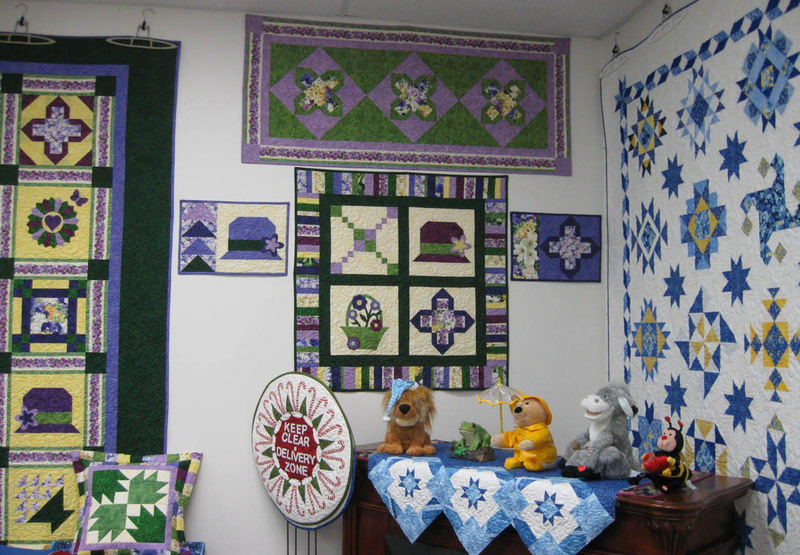 Examples of quilts for sampler programs and shop hops. Below is the most recent sampler quilt from the 2012 East Tennessee Shop Hop. 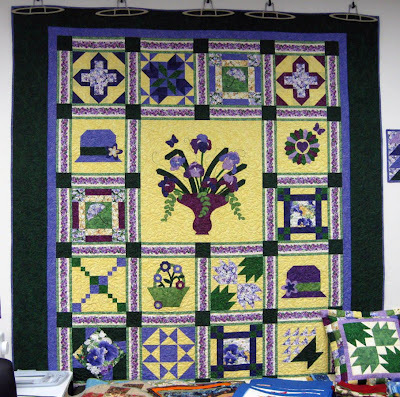 The yellow, violet and blue color scheme plays to the event's theme of Springtime. 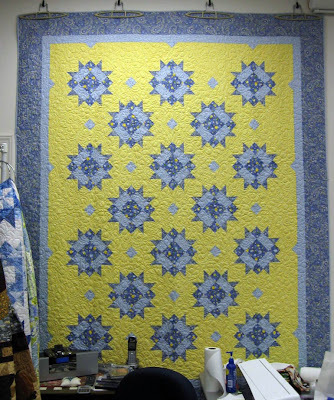 2012 East Tennssee Shop Hop sampler quilt. 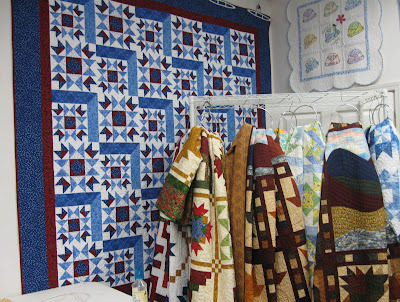 For quilters not wanting to make a large, bed quilt, Julia offers ideas and samples of smaller projects such as wall hangings, placemats and pillows. 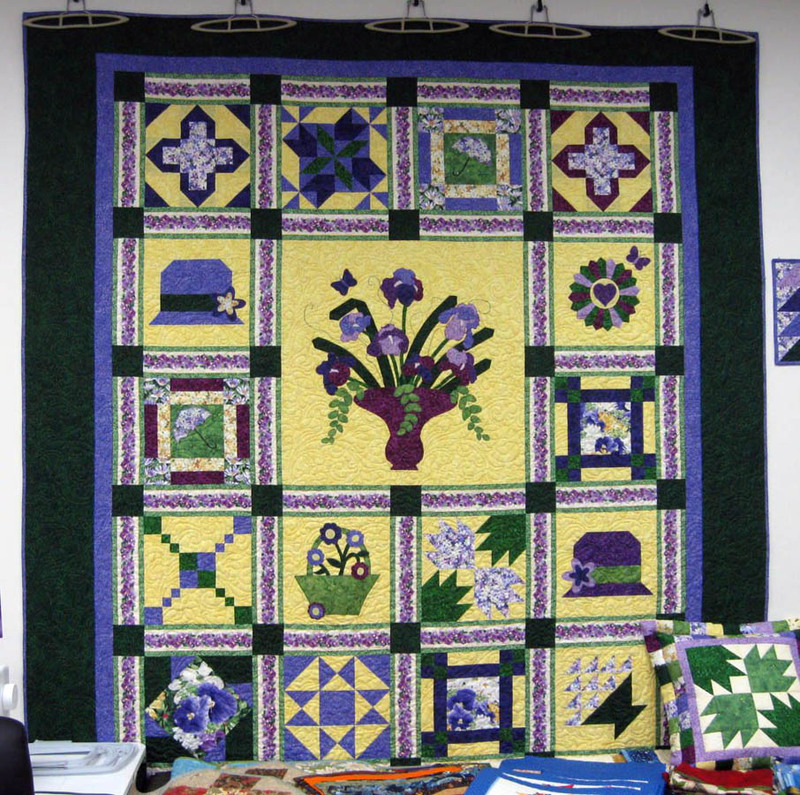 Quilted projects large and small. Every quilt needs some blue fabric. 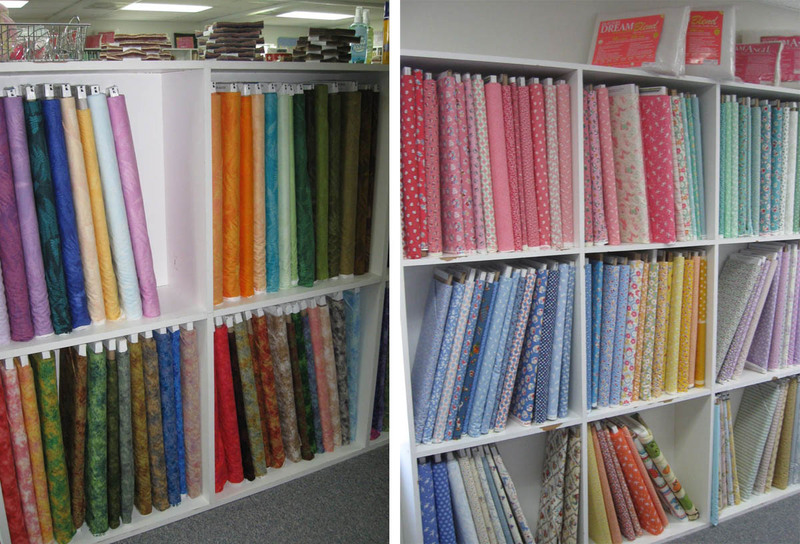 When visiting Little Blessings Quilt Shop, you will enjoy choosing fabrics from their sizable collection. This room had the brights, novelties, geometrics and juvenile prints. 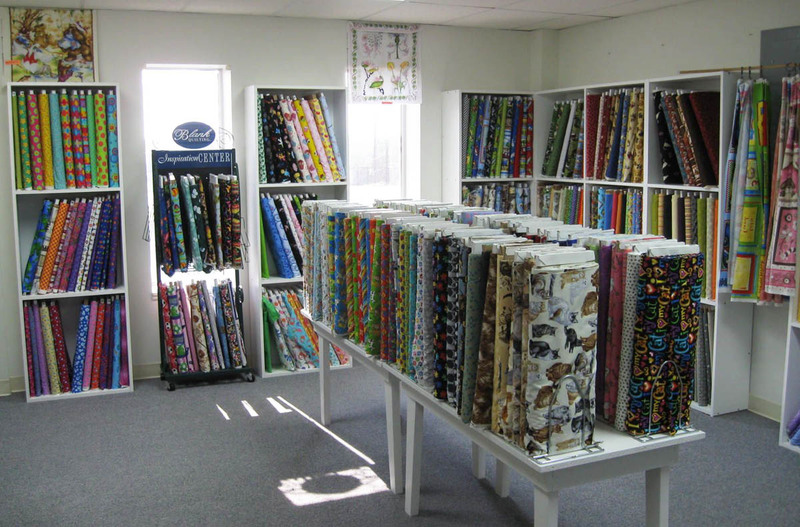 This room is dedicated to a wonderful assortment of brights, dots, stripes, whimsies and swirls, and animal and juvenile novelty prints. These are my kind of colors and prints! 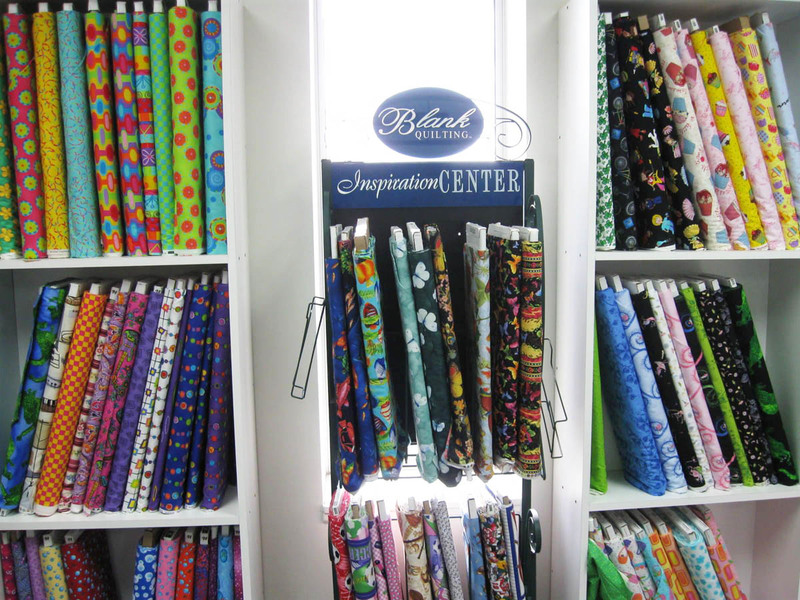 The Blank Quilting Inspiration Center showcases collections and coordinates of novelty prints. I found a dog print with a bright red background among these animal theme prints. Whether you are a kid or a"big kid," these brights, novelty prints will make you smile. 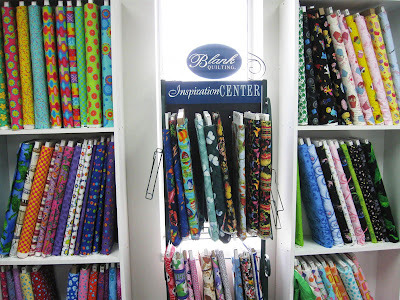 To accompany your focus fabrics, there is a rainbow assortment of blenders such as Splash and Fusion Illusion, as well as an extensive collection of 20s and 30s prints, neutrals and others. Left: Splash and other blenders. Right: 20s and 30s novelty prints. Here is Rachel cutting the fabric for me. 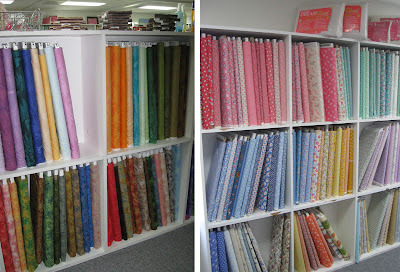 Behind her are more stunning and colorful examples of the fabric and quilting possibilities that this shop inspires. 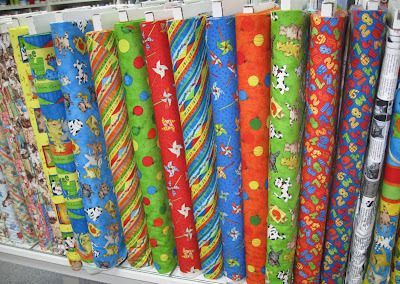 Rachel cuts fabric for me at the counter at the front of the store.